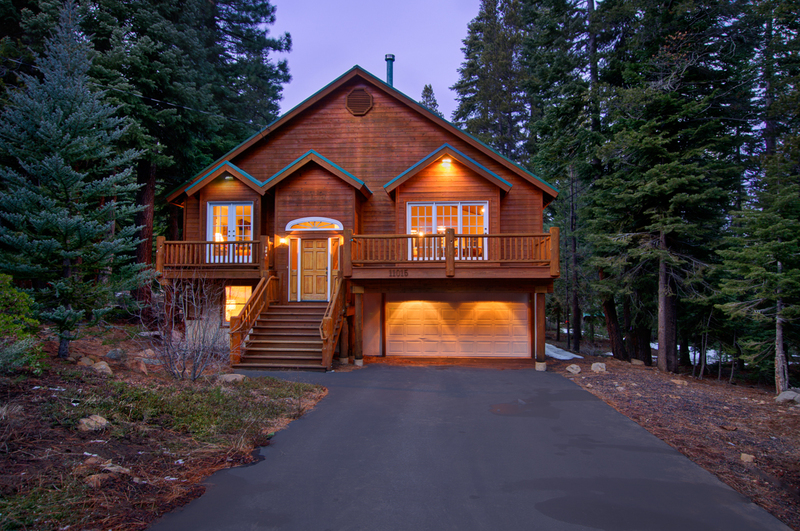 Ideal location in Truckee in the lovely neighborhood of Prosser Lakeview Estates. This property is in excellent condition with new exterior stain, new interior paint, new carpet on stairs, woodstove was installed in 2013 and washer and dryer were recently replaced. 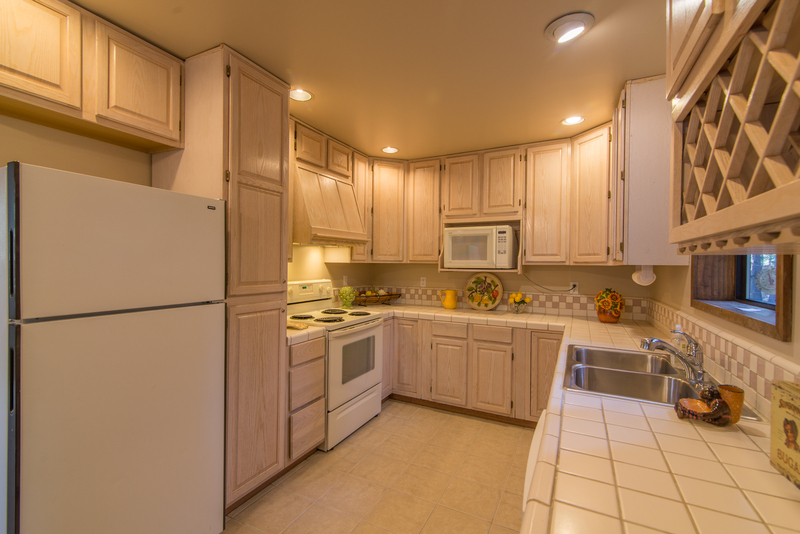 Open living area has vaulted ceilings and great light, spacious kitchen has tile counters and floors. 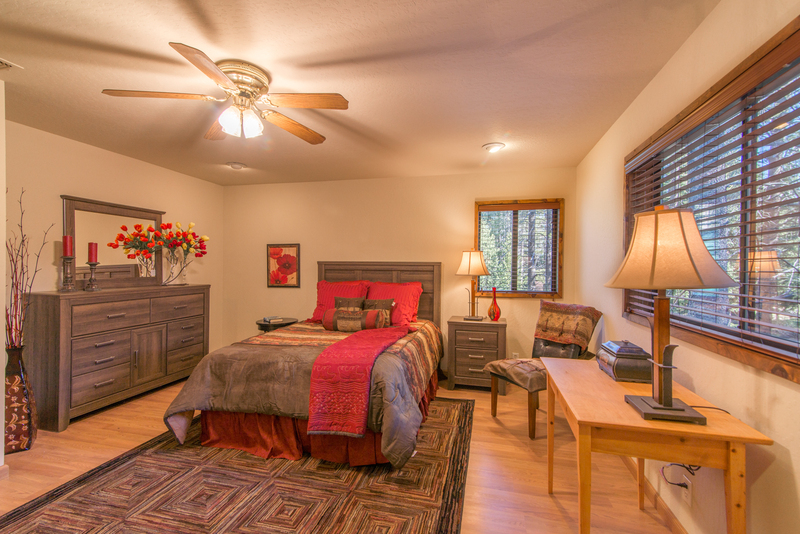 Comfortable floor plan with two bedrooms downstairs and large, private master suite upstairs. 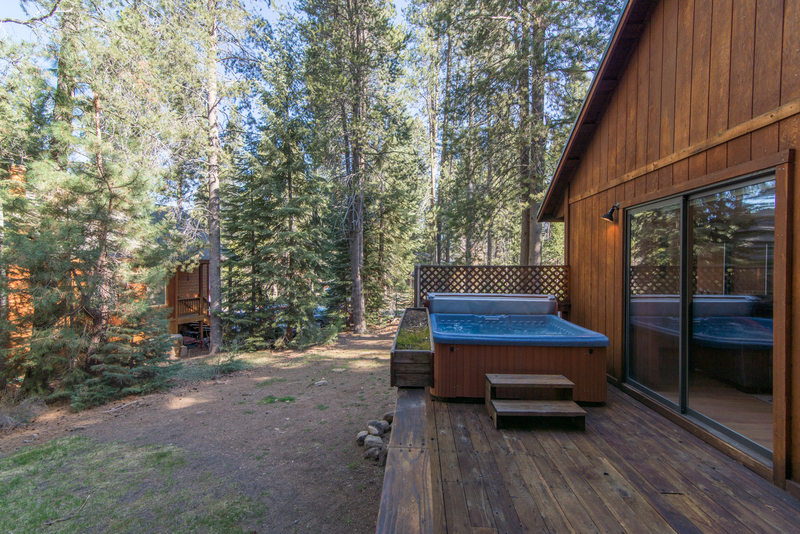 Hot tub on deck is included as well as storage shed. Great location in Prosser with level access and just two blocks away from acres of trails off of East Alder Creek. Wonderful home for a full time residence or vacation get-a-way. Property has 3 bedrooms, 2 baths, 2 car garage. 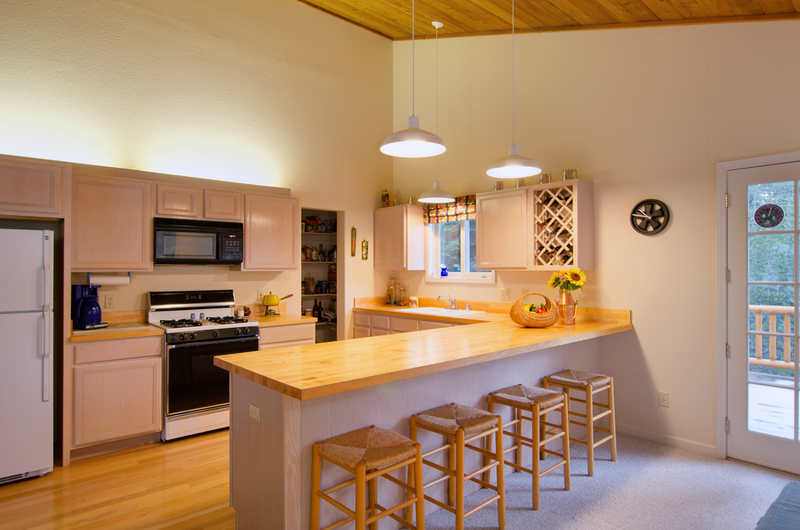 Home was built in 1992 and is approximately 1491 square feet. Priced at $439,000. 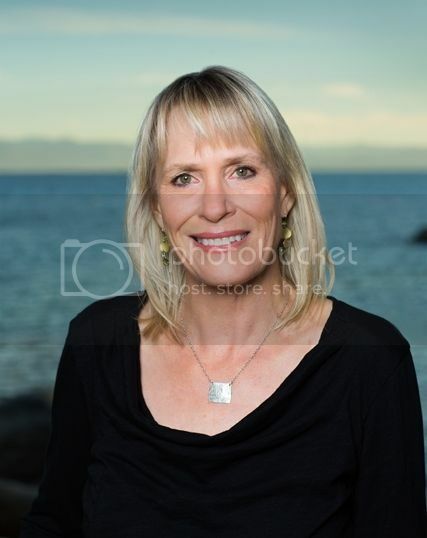 Please call Lynn for a showing or any questions. If you are a sun lover like I am, you will love this home. This property is south facing and both front decks are drenched in sun. As well, the builder was very thoughtful with the window placement. There are lots of windows. This home sits on a lovely, level lot that backs to greenbelt for extra privacy. It’s also located in the lower section of Tahoe Donner so less snow and easily accessible. 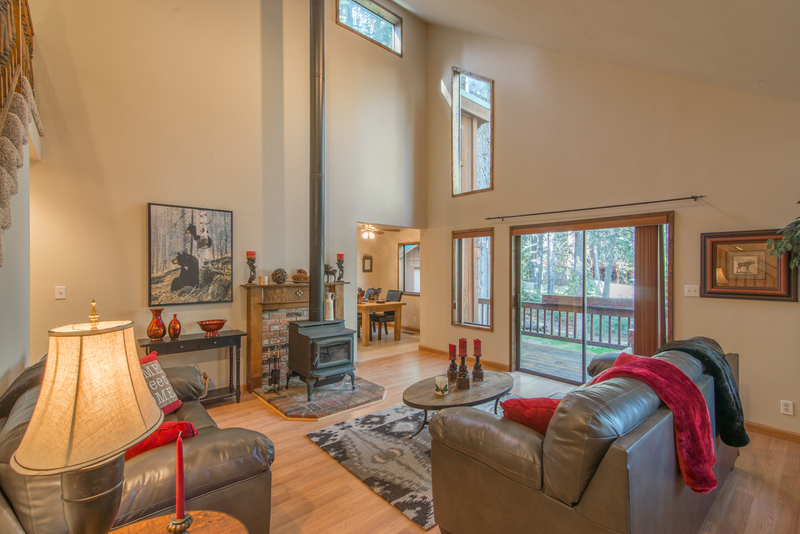 The great room is warm and inviting with vaulted wood ceilings, woodstove on slate rock hearth, wood floors in the kitchen and wonderful light throughout. This split level design features the master suite on the upper level with the two guest bedrooms and full bath downstairs. Additional features include log accents inside and out, private rear deck which looks out to the greenbelt, deep garage and lots of good storage. 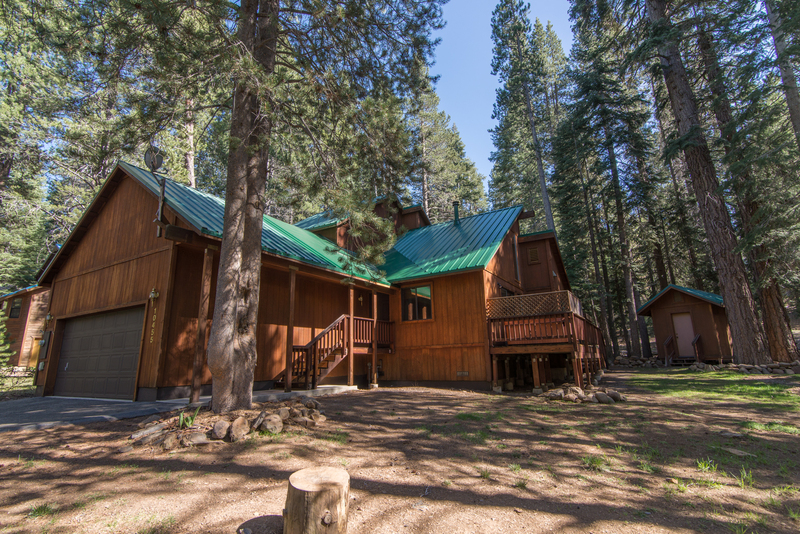 Owning in Tahoe Donner allows you to enjoy all the amenities. From downhill skiing, the tennis courts and pools, to the workout facility and private beach at Donner Lake there is a lot to do. If you would like more information about this property please contact me. I will be having an open house on February 21st in the afternoon. Stop on by! 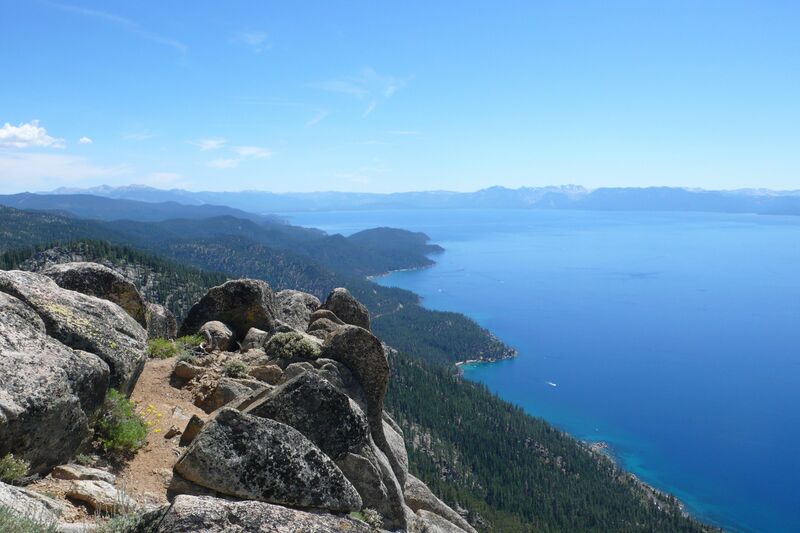 The Tahoe Rim Trail is a 170 mile trail that circles Lake Tahoe. It passes mountain lakes, crosses high alpine passes, and runs for miles through deep forests of red fir, hemlock and majestic white pine…but most importantly, it gives you miles and miles of opportunities to gaze down into our favorite big patch of blue. -The trail circles the entire lake. Which means that if you hike it all you can start out in one place and about two weeks later end up right where you began. What is especially cool about this is that for much of the journey you can gaze across the lake at where you have been, while also envisioning where you will soon be. -Make no mistake about it. Thru-hiking the TRT is not easy. It’s a tough, bucket list challenge…but it is one that normal humans who hike about 13 miles a day can do in two weeks, as opposed to hiking twenty grueling miles every day for four and half straight months to conquer the Pacific Crest Trail. 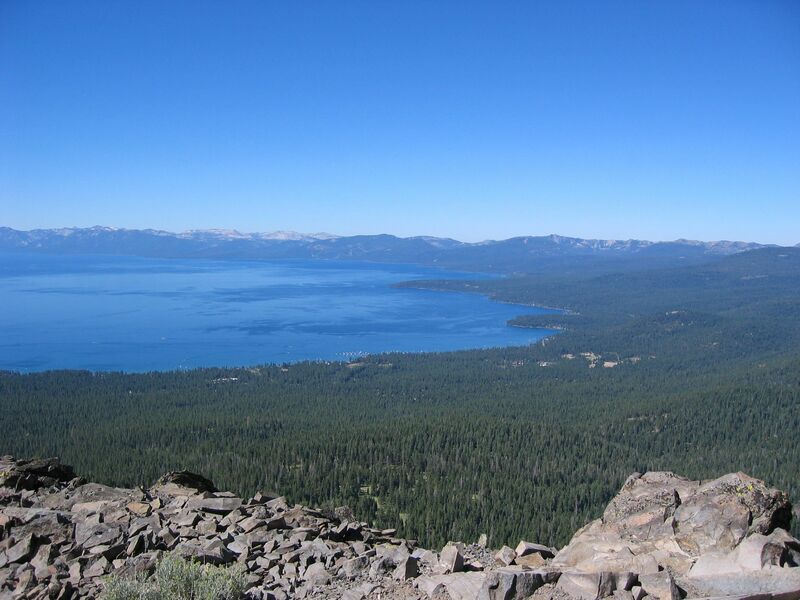 -When you finish, you will have the pride of becoming one of the heralded members of the Tahoe Rim Trail 165 mile Club, and obtain a number. Mine is #11. Need more information? Pick up a copy of my official guidebook to the Tahoe Rim Trail, now in it’s 3rd edition. Its’ available at local bookstores and outdoor shops.